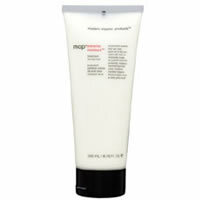 MOP Extreme Moisture Conditioner is a rich moisturising fruit smoothie for your hair. MOP Extreme Moisture Conditioner is the perfect hair food for anyone who washes their hair daily, goes out in the sun, styles with heat or chemically treats it. MOP Extreme Moisture Conditiioner is a protective moisture-replenishing treatment against these daily aggressions and contains certified organic banana, apple juice and other fruit extracts to give the hair the nourishment it needs.